ddrum's Deccabon drum are 6" in diameter and tuned to represent specific notes in the scale, as each varies in depth. Each 6" diameter drum is tuned to represent a specific note in the scale, as each varies in depth. But rather than simply providing the eight notes in a given octave, Ddrum has expanded the scale by offering depths from 6" to 24", for more tonal variation and control. 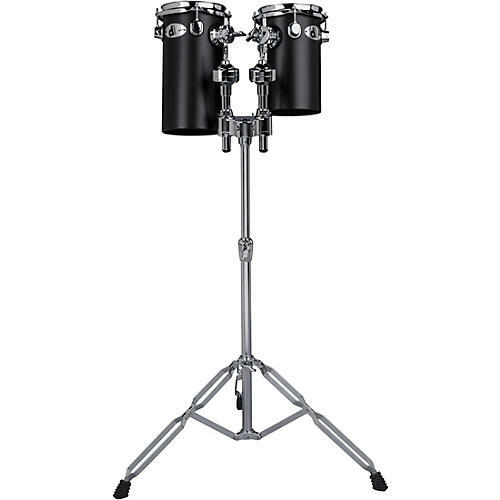 This set includes 10" and 12" black fiberglass Deccabons with a double-braced stand for additional voicings around the kit, tuned melodic passages, or just the right amount of mayhem to make a proper statement.